Bishop Emeritus Gracida recently published his autobiography, An Ordinary's Not So Ordinary Life, and it is a fantastic read. I highly recommend it. I came to know of Bishop Gracida, Providentially, during the Senate Bill 303 controversy in the last Texas legislative session in 2013. He did then, as you will read in his autobiography, what he has done his entire life: stand up for what is right and moral even if that means standing alone and taking abuse for so doing. From his early childhood to his service in the military to architect to his time as a monk to parish priest to bishop and pro-life activist, Bishop Gracida's amazing and miraculous life story provides lesson after lesson about being submissive to God's will, discerning it, being obedient to it, and remaining steadfast in the face of opposition - even if that opposition comes from colleagues, superiors, and friends. His life shows us how God has a plan for each of us and how we are constantly being prepared for our purpose even if we cannot fully see it at that time. I am so thrilled that this book has been published and made available for broader distribution as all can benefit from it. 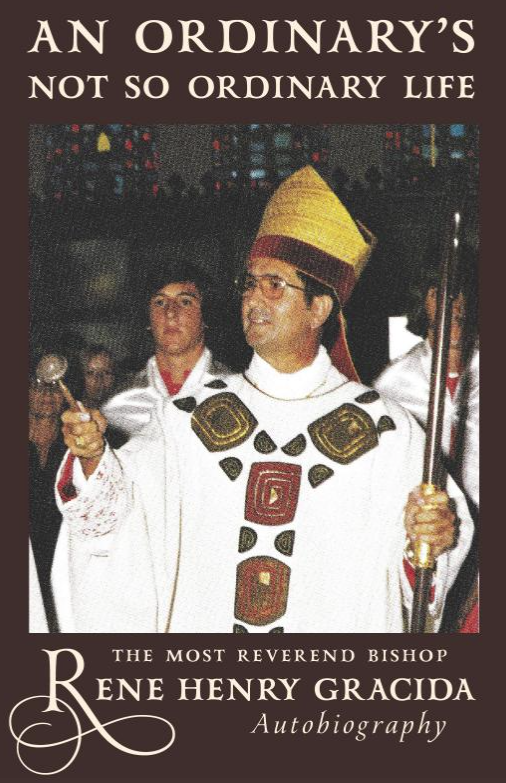 And, I am forever grateful to Bishop Gracida for his leadership, example, guidance (to myself and so many others), and activism, especially on what we have come to call the "Third Path" to euthanasia and other life issues. Do yourself a favor and buy this book, read it, and buy a few more copies for your friends, family, and favorite clergy for Christmas gifts. What are "your" lessons from it? How does it speak to you? "My" lesson is one I think we all need to hear and act upon. As I have often written, we live in confusing times and it is sometimes difficult to do the right thing because our viewpoints are not those of modern society and we fear reprisal, embarrassment, conflict, loss of friends, the list goes on. For some, leadership on the "hard issues" is not just difficult but impossible because although they continue to go through the motions, they have actually lost their way on the issue and persist in error. How do we break out of the fear of doing the right thing? How do we prevent ourselves from losing our way? How do we get back on the right path if we have strayed? I think Bishop Gracida shows us in word and deed. Being well-formed in our Church's teachings, praying, having frequent recourse to the Sacraments, discerning God's will (if possible, with the aid of a Spiritual Director), and committing to being obedient to that will without regard to the cost, are all ways to avoid serious error by omission or commission. Beyond this, you will open the doors for untold, sometimes completely unforeseen, blessings in your life. You will see this lived out in Bishop Gracida's book and you can learn to do the same and find encouragement to keep fighting the good fight. Full Disclosure: The Good Bishop mentions me in the book and I am surprised, humbled, and honored.